The club was established in 2009/2010 and joined the Lewes & District Sunday League. In 2012 they applied for membership of the East Sussex League, gaining entry to the Premier Division for the 2012–13 season. 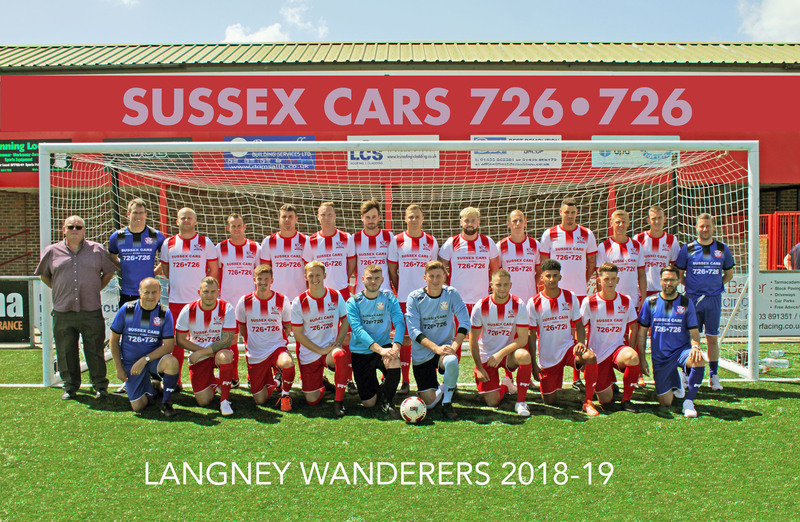 The club were Premier Division champions at the first attempt, winning 17 of their 18 league matches, and were promoted to Division Three of the Sussex County League. Langney were Division Three champions the following season, but were unable to be promoted to Division Two as their ground did not have floodlights. However, after finishing third in Division Three in 2014–15 the club were promoted after planning permission was secured for floodlights. In 2015 the Sussex County League was renamed the Southern Combination, with Division Two becoming Division One. The 2016–17 season saw Langney win the Division One Cup, beating Southwick 3–0 in the final. The club initially played at Shinewater Lane, the former ground of Shinewater Association, but due to problems with the pitch they played at Eastbourne United Association's Oval ground during the 2016–17 season, before moving to Eastbourne Borough's Priory Lane ground for the 2017–18 season on a three year agreement. The 2017/18 season proved to be a huge success on and off the pitch, Langney finished runners up in the SCFL Div 1 and losing semi finalists of the Division 1 cup. 2018/19 sees us enter the FA Cup for the first time in our short history.